Support our community for just $1 a day! As a business owner, you understand that a strong, healthy community is good for business. 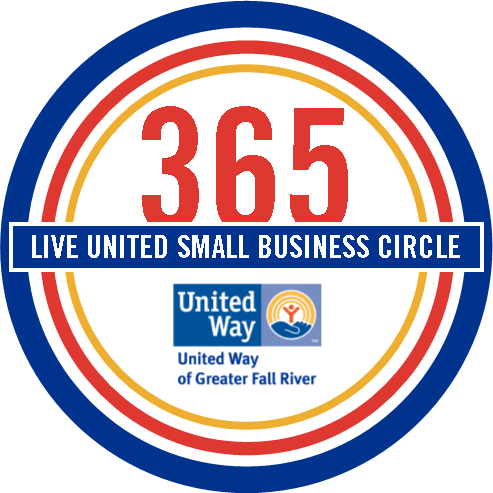 United Way of Greater Fall River is proud to announce LIVE UNITED 365, an affordable, comprehensive way for local businesses to support the community. Your donation will help provide food for homeless families, safety and security for abused women and children, quality after-school programs for at-risk teens, education services and job-seeking skills for the unemployed and underemployed, and so much more. It will provide services to those in need at all stages of life, from educational childcare to hospice support. No one organization takes such a broad-based view of the needs of the whole community. Show others that you are a community-minded business and are helping to support those in need in Greater Fall River! Become a member of LIVE UNITED 365 for just $1 a day.